Snake. Where art thou Snake? Under a rock? In a cave? In soup? Oh I see. He's turning the big 4-0! Wow, that is indeed a milestone. Normally quite reclusive, even he admits it was time to celebrate. Inevitably, the question of where to go comes up. The criteria? Trendy, moderately-priced and located in Downtown. Naturally, it should serve good food too; but that is always subjective. So after a few ideas, I remembered a place that I had first read about in En Route on my flight down to San Francisco. 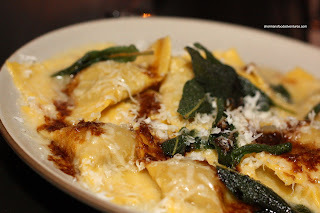 It had awarded Cibo Trattoria the distinction of the best new restaurant in Canada for 2009. Honestly, these lists elicit much debate since they are generally the opinion of only a few. However, that would be true with any publication or website that does something similar. Hence, there is only one way to see if there was any credence for its lofty title - go try it out. Funny how I intended to visit Cibo immediately when I got back from San Francisco in November 2009. It has taken me over a year to do so! There are a lot of eats in Vancouver. Hard to get to them all. Since it was a milestone birthday, Costanza, Vandelay and I wan ted to go in style. Thus, I borrowed my dad's Benz for the evening. Funny thing too. We're grown adults and I'm still borrowing my dad's car... I really had to watch my alcoholic intake for the night since my dad would not be impressed if I got his car impounded. Furthermore, on a my serious note, drinking and driving is never cool... So we decided to order everything to share which made me a very happy man! 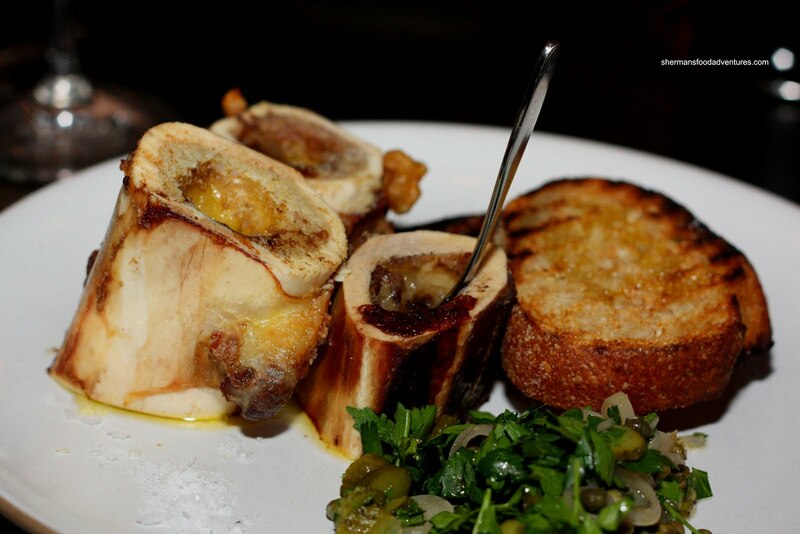 We started off with one of their featured appetizers which was the Veal Bone Marrow. Roasted and served with crostinis and a side of relish consisting of capers, shallots, cornichons and parsley, this would be considered as one of those "wow" dishes. Such a simple product yielded the most "mmms". The tartness of the relish went well with the buttery marrow and crunchy crostinis. 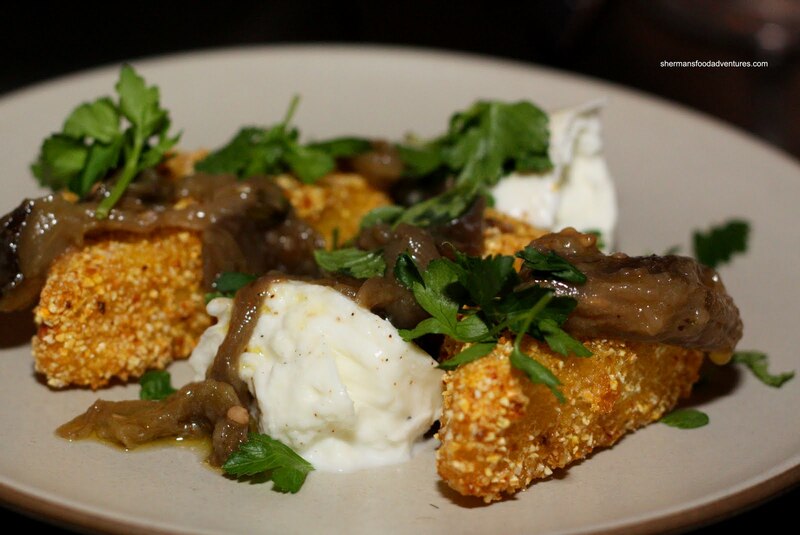 At the same time, we also had the Buffalo Mozzarella with crispy polenta, preserved eggplant, chilli and mint. We could see where they were going with this dish - the soft mozzarella contrasting the crunchy polenta. However, the cornmeal crust on the polenta was not necessary in our opinion. It made it rather hard and overly crunchy. However, the rest of the dish was really good. The eggplant added a nice flavour to the otherwise mild mozzarella. 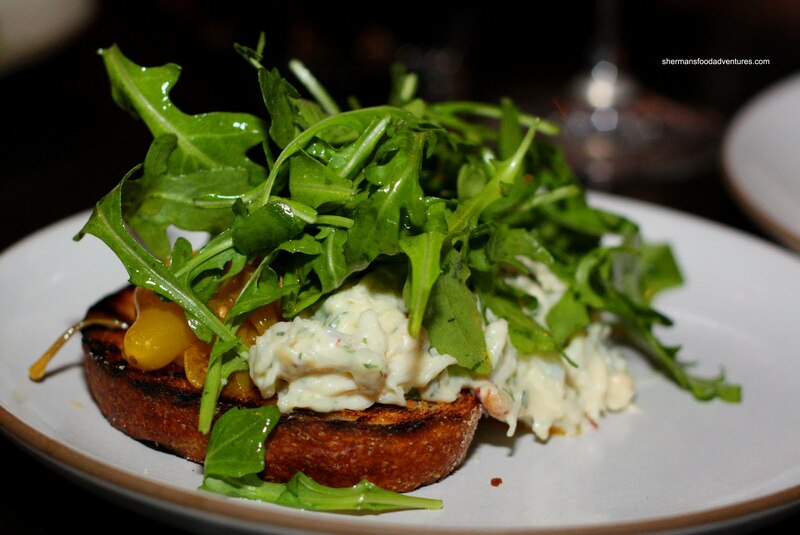 Our last appetizer was the Bruscetta of Dungeness Crab with preserved cherry tomatoes, arugula, chilli and herb aoili. I really liked this dish. There was a good balance of flavours and textures. The crab was able to stand up to the mild herb aoili while the crunchy crostini provided a nice crunch to an otherwise "soft" dish. Add in the tartness of the tomatoes and the bitterness of arugula, there was no absence of flavours. 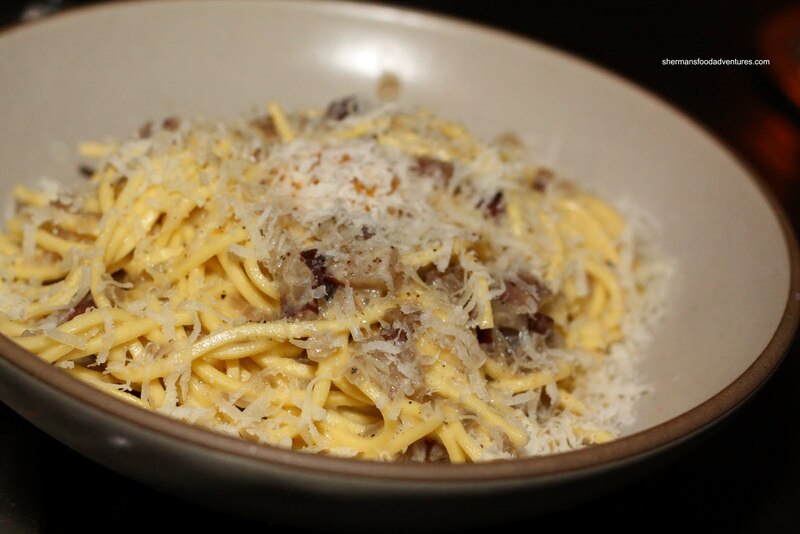 From our appies, we went to 2 pastas starting with the Fresh Spaghetti Carbonara with guanciale, cream, black pepper, egg yolk and pecorino. First, I must give kudos for the al dente fresh pasta. Generally, it is more difficult to achieve; but they did it. Possibly a bit too al dente actually. It could've used probably a minuscule more time in cooking in the sauce. But that is nit-picking. This pasta was not short on taste despite the modest amount of sauce. This is probably due to the strong elements of the guanciale and pecorino cheese. With all that, the pasta was not heavy at all. Our second pasta was the Ravioli of Potato and Caramelized Onions with sage butter, aged balsamic and Parmesan. This was delicious with al dente pasta and a filling that was not dense while being naturally sweet from the onions. The sweetness was offset by the aged balsamic and it was brought together by a beautiful sage butter. We also got 3 main dishes to share starting with the Crispy Duck Leg with prosciutto-wrapped treviso and preserved blueberries in grappa. As advertised, the skin was crispy and partially rendered. Inside, the duck was moist and not overly seasoned. 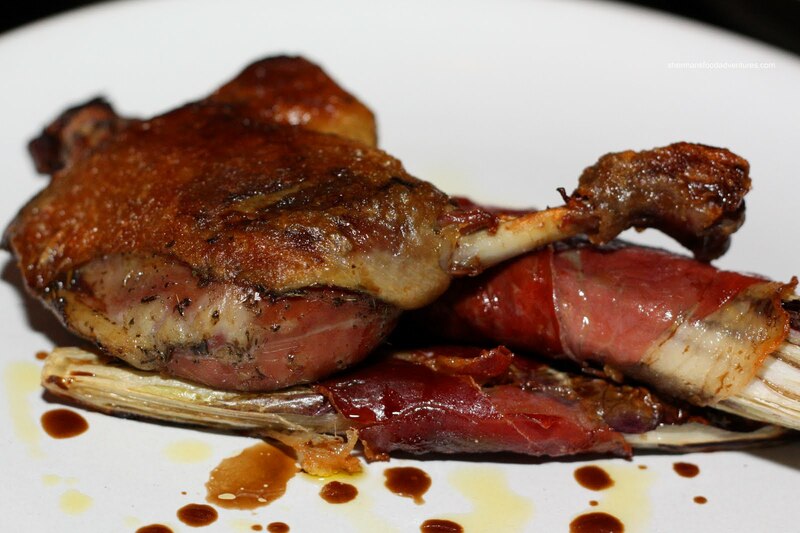 The bulk of the flavour came from the prosciutto-wrapped around treviso (or red radicchio). The bitterness from the treviso combined with the cured saltiness from the prosciutto was a nice compliment to the rich duck meat. As for the blueberry grappa, there was very little and so it should be since it is quite strong. 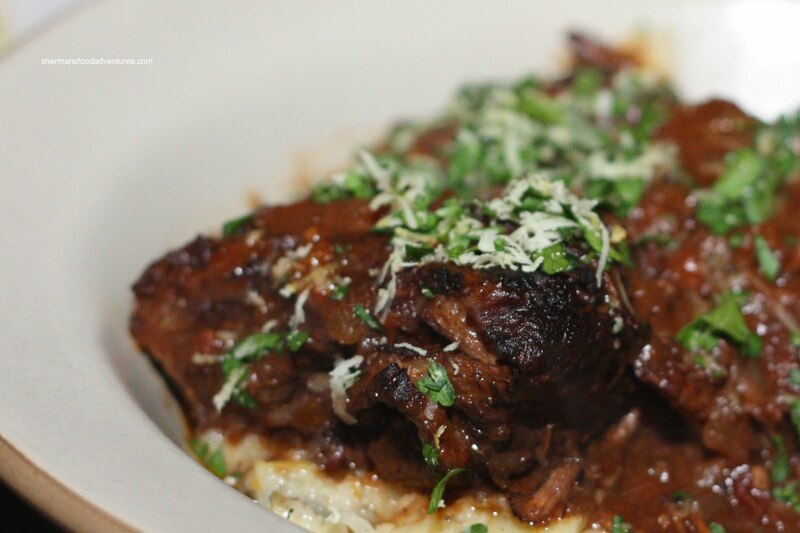 Next up was the Red Wine Braised Beef with soft polenta, Gorgonzola and wild mushrooms. With a pronounced wine flavour, the beef was very tender and moist. Despite adding more softness to the dish, I thought the polenta was a perfect match for the beef. It was an accompaniment that made its presence felt while not taking away from the star of the dish. The Gorgonzola added a slight sharpness that was just enough while the mushrooms were also a great compliment adding some texture and woodsiness. Our last dish was the Veal & Proscuitto Meatballs with San Marzano tomatoes, sage, olives, slow cooked kale and pecorino. 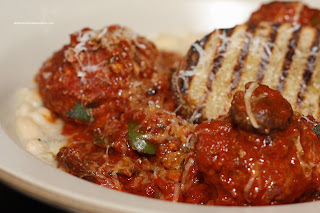 I really liked these meatballs. They were a nice compromise between being soft while still "meaty". They held up from all the cutting and prodding we did to them. Um... it's not what you think! Now the real star of the dish was the beautiful San Marzano tomato sauce. 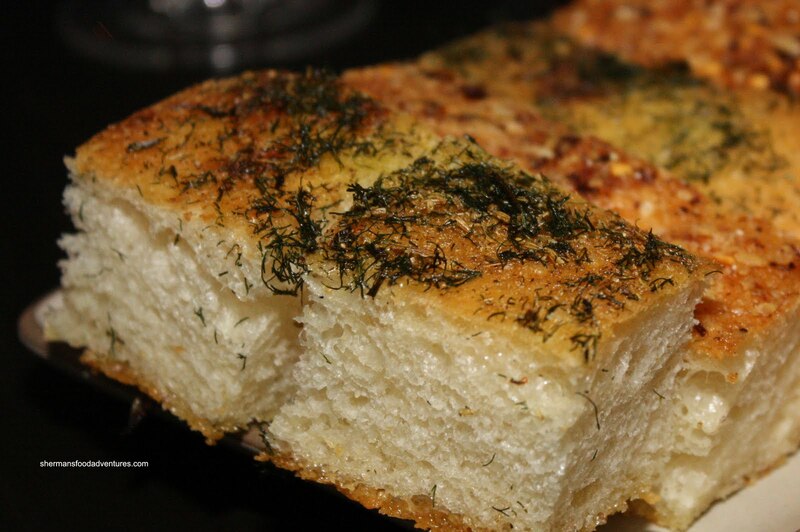 It was extremely flavourful which benefited from the plethora of olives which added a nice tang and saltiness. It might be a bit strong for those who don't like olives though. The creamy white beans underneath helped bring down and balance the bold flavours. 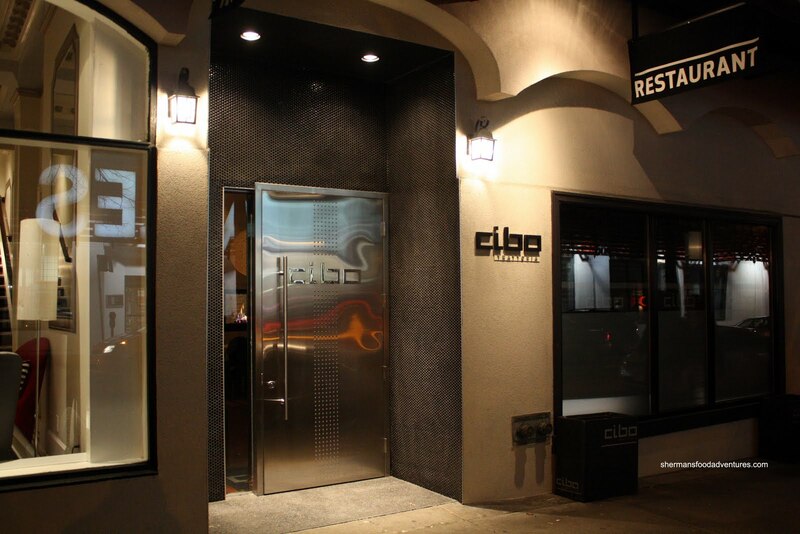 Honestly, I've heard some negative opinions about Cibo and for what it's worth, I personally like Cibo. For the items we tried, nothing was bad and in fact, some were very good. The service we got was both attentive and courteous. The prices are not exactly cheap; but not outrageous either. Considering that 4 guys were full after sharing 3 appies, 2 pastas and 3 entrees, the portions were more than respectable. I really liked their bruschetta when I was there too. My pasta was a bit on the salty side but the ones you ordered sound really tasty! Gigi, Cibo surprised me actually. Heard differing views. For us, it was really good!